Greg Weinstein takes a direct approach to client services. A key part of his practice is developing and maintaining open communications with his clients by keeping them actively involved in the planning and strategy stages throughout a case. He also counsels clients on setting realistic expectations regarding likely case outcomes based on his 20 plus years of experience at the trial and appellate level. 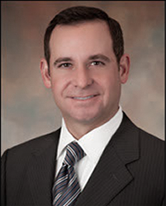 His trial experience includes serving as lead counsel on federal and state cases in Texas, Oklahoma, Arkansas and other jurisdictions as well as arbitrations and appeals. Greg primarily represents various business entities that include developers, contractors, property insurance carriers, and sureties in construction and complex commercial litigation cases. Complex commercial litigation matters for corporations and partnerships including claims by and against officers and directors, secured credit matters, employment disputes, and all matters involving commercial contracts.